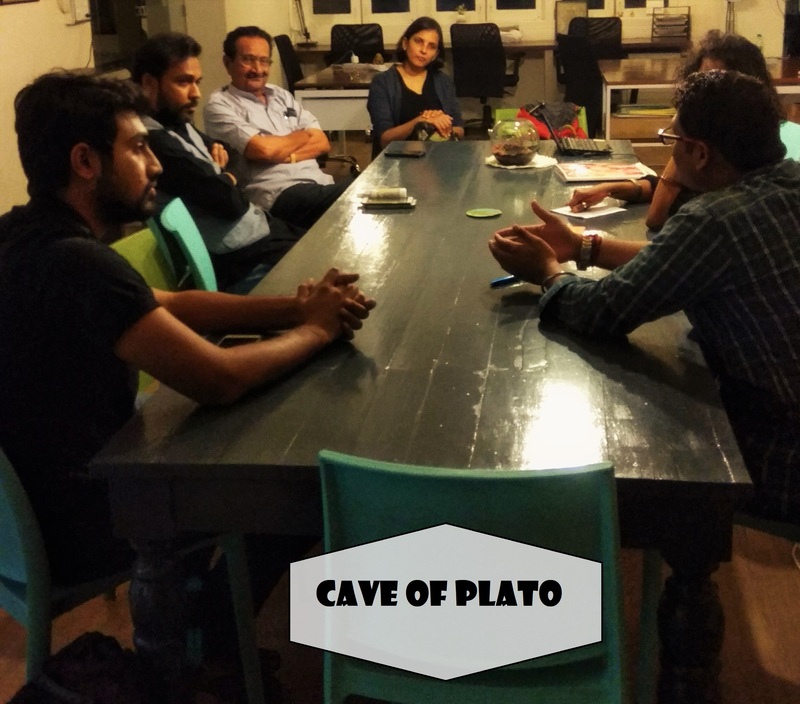 A gang of 9 enthusiastic cavers checked in to ‘Cave Of Plato’ on Jan 6, 2018 at Workbay to explore ‘Lost Advanced Civilizations’. 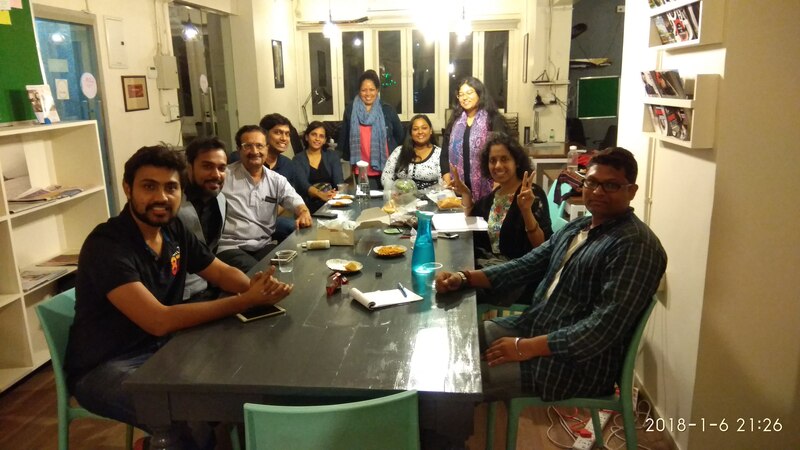 Cavers from diverse backgrounds like archaeology, 3D printing, physics, law, art, medicine, tribal wisdom, and story telling transformed an ordinary evening into an extraordinary time capsule with their unique insights. Mahendra Porje, a knowledgeable physicist and history enthusiast helped us dig deep into ancient civilizations. – What does ‘civilization’ really mean? – Is evolution linear from primitive to advanced civilizations or cyclical? – What is the true sign of an ‘Advanced’ civilization? Advanced technology or Increased levels of Consciousness, empathy and feeling connected with a higher purpose? – Intriguing ‘Geo mythologies’ like Atlantis, Lemuria and Kumari Kandam. – Possible causes of the mysterious collapse of culturally rich civilizations like the Indus Valley, Egypt, Incas, Sumeria, Babylon etc. – Precise architecture and geometry of ancient megaliths and artefacts world wide that we are yet to replicate. – Ancient robotics, Nano technology, Strings of Code and advanced combat techniques. – Space Archaeology and Drone technology in current explorations of lost civilizations. 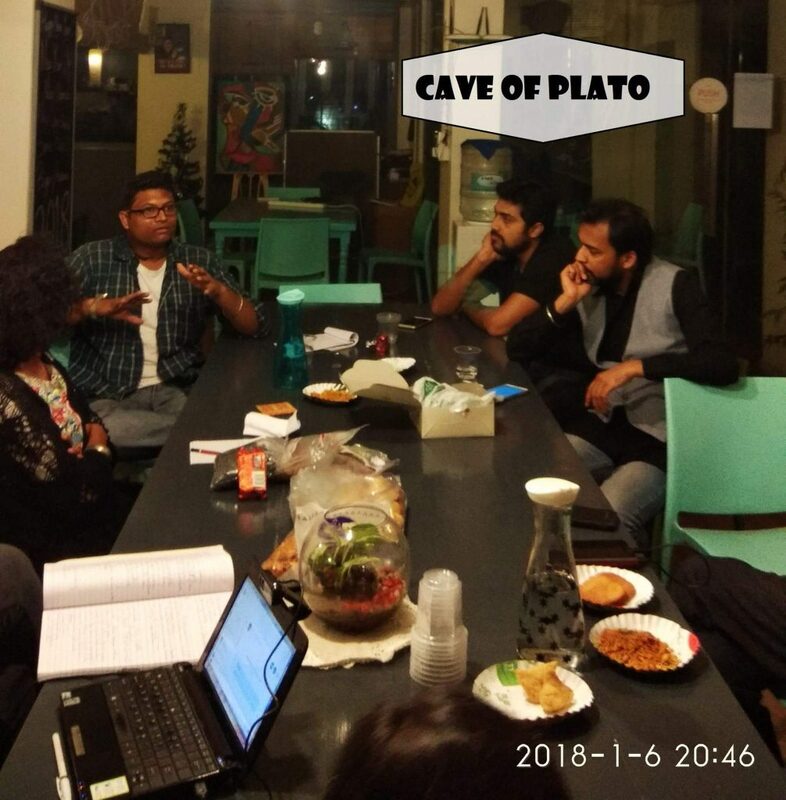 – Existential questions on the future of our civilization in an age of climate change, water scarcity and the possibility of a technological singularity and what important role can each of us play with our unique life experiences. After an intriguing, mind expanding conversation, happy cavers posed for the camera.